Electricity gives us comfort, entertainment, light and the ability to power our mobile devices so we can stay connected with our family and friends. It heats our homes in the winter and cools them in the summer and electricity lights our way in the dark. It is impossible to imagine what life would be like if electricity was never discovered. With all of the benefits that electricity has to offer, it can be difficult to imagine it as dangerous. But every year here in the UK and abroad, thousands of people are killed by electrical shock and many more homes catch fire as a result of electrical shorts. 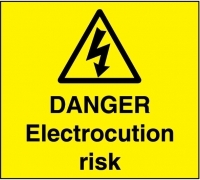 Although electricity is an important part of our lives, it is also something that we need to be very careful with and take into consideration just how dangerous electricity really is. Safety proof your home. This is especially important if you have small children. Use tamper resistant outlet covers on unused outlets and use zip ties to bundle loose cords under or behind furniture where children like to play. Too many plugs in one outlet can lead to a fire. Sometimes we just don’t have enough outlets for the electronic components we need to plug in. This leads us to use extension cords and outlet expanders which enable us to plug in up to 12 devices in a standard double outlet. This can overload the outlet and cause a fire. If you do need to plug in more devices, use a UL listed power strip with a breaker feature that will let you safely plug in up to 6 devices. Water and electricity don’t mix. If you have an electrical outlet near your sink as many homes do, be careful to keep water away from it. Even if you are washing dishes and reach to plug in your smartphone, or unplug a device, you could receive a painful electrical shock. Always check your power cords. This is especially true if you have small children or pets. Some pets like to chew on power cords and this could lead to a short which can shock you or start an electrical fire. Replace any damaged or frayed power cords and be sure to check your phone charging cords as these are frequent causes of electrical fires. Staying safe around electricity is easy when you remember just how dangerous it can be. Protect yourself and your family from electrical shock or fires and avoid a potential life threatening accident today. For more information on how you can stay safe around electricity, contact PGS Services now.